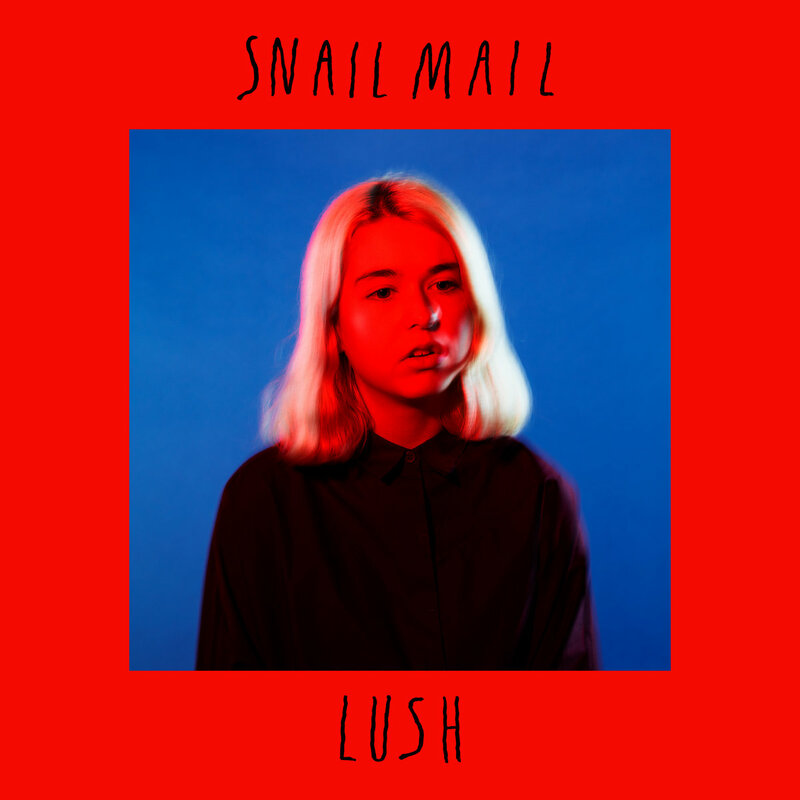 The Baltimore, Maryland based Lindsey Jordan's debut LP as Snail Mail contains tired, dreamy pop sounds that can move from weary, so-over-it and bored to grandiose. While the songs on Lush blend into an overall motif there are moments which prove Jordan has a bright future ahead of her. The strumming light strumming starts at the "Intro" and doesn't really let up until delicate closer "Anytime". Jordan with drummer Ray Brown and bassist Alex Bass have crafted their title environment and major credit should also be given to producer Jake Aron and engineer Johnny Schenke as the small adjustments and instrument changes add a lot to the sound and song structure. "Pristine" recalls early 90's buzz bin era sounds of The Breeders but Jordan's been there done that vocals/lyrics never truly engage singing about never loving anyone else. That changes dramatically on "Stick" as her vocals and singing start off breathy as the polished production builds and swells so does her singing to soaring levels, a very solid/dramatic track. The dream pop of "Speaking Terms" gets more ethereal and fluid while "Golden Tempo" moves with big ups and downs in the same fashion. "Deep Sea" bubbles along and has some expertly placed horns added for excellent dramatic effect. It is the complete effort of "Heat Wave" which really hits the mark and elevates the whole album as the track pairs perfect deep bass lines with fuzzy yet bright guitar lead from Jordan which manages to penetrate at odd times. Lyrically the already world weary Jordan is dealing with relationships in poetic ways and always wanting more or less, depending on the mood. The track is a standout on an album that is more about tone and feel then capturing a single. Lush is an impressive start from Jordan and crew, confident, young, and moving into the future with past influences riding shotgun. Snail Mail may not be a revelation, but they deliver.